Mark your calendar now for our annual Choir Easter Cantata. 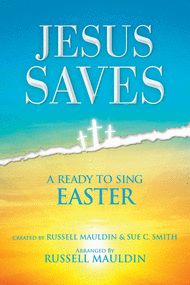 The choir will present a beautiful musical on Sunday morning Palm Sunday, April 14th, Jesus Saves. 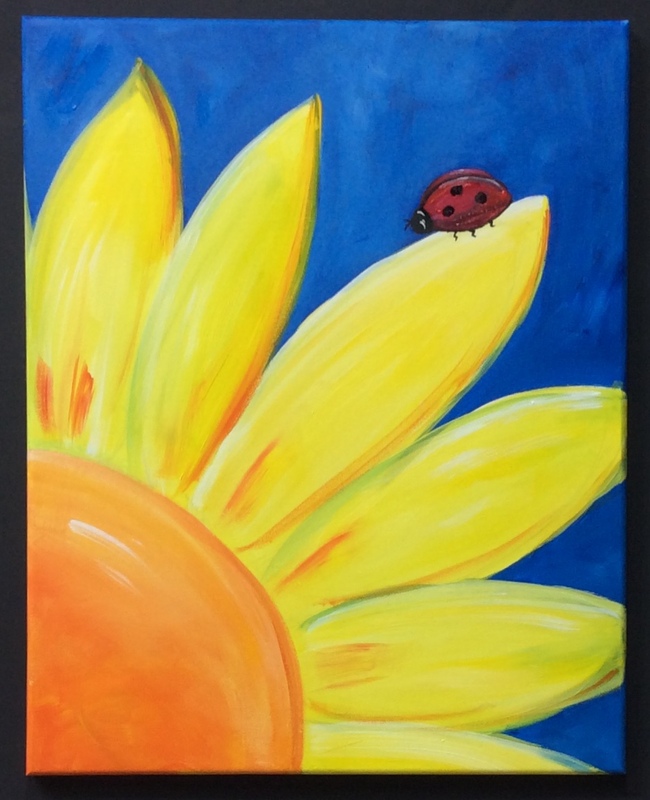 We are going to have a great painting class again this year to be our main fund raiser for this year. Mark your calendar now for Tuesday June 11 at 10:00 am or Saturday June 15 at 2:00 pm. Our very own Dana Holliday will be instructing us again and we will be painting a beautiful flower. If you have any question or to register for a class contact the church office at 336 – 475 – 1124. 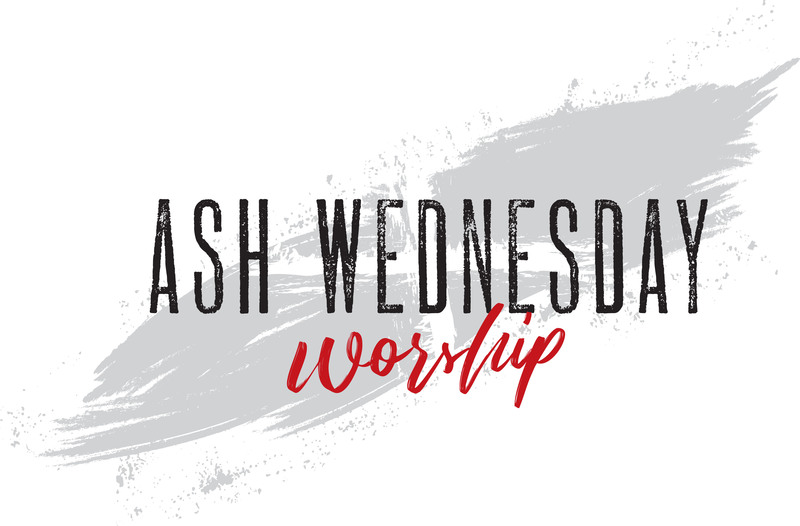 Please join us for our Ash Wednesday Worship Service in the sanctuary, Wednesday March 6th at 6:30 pm. 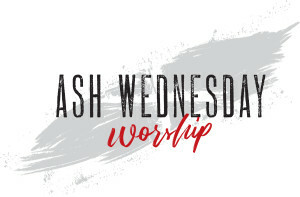 Such a great way to start your Lenten Journey to Resurrection Sunday. Pastor John will be leading a six week Bible Study on the Last 7 days of Christ’s Life. You can choose a daytime study or an evening study. The daytime study will begin Thursday March 7 at 10:00 am in the Parlor and continue for 6 weeks concluding April 11th. The evening study will begin Sunday March 10th at 5:00 pm for 6 weeks concluding April 14th. If you are interested you can bring a bag supper. Please call the church office at 336-475-1124 if you would like to attend. No additional books are needed. Bring your Bible. 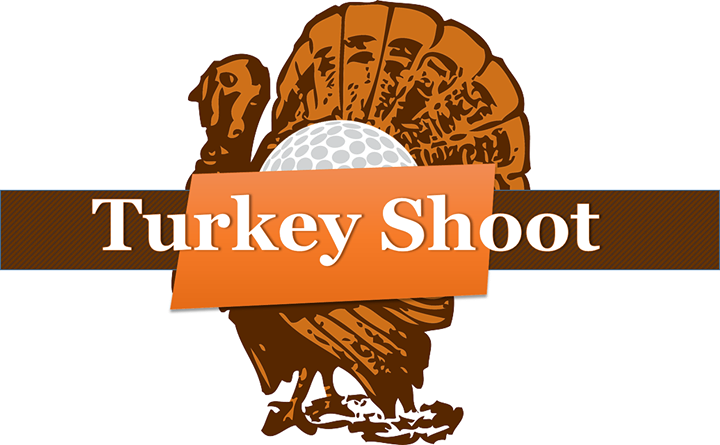 Turkey Shoot Information: The United Methodist Men’s Turkey Shoot will not be held this Friday and Saturday (December 14 & 15) as planned. There was some damage from the recent snow storm and it is just too messy to hold the event. We want to thank everyone that volunteered and helped with this project and especially community folks that came out and supported this project of the UMM this year. We wish everyone a very Merry Christmas and would invite you to visit our church for worship services. Sunday School at 9:30 am and Worship Service at 10:30 am. on Sunday mornings. 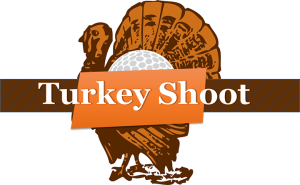 The Turkey Shoot is cancelled for tonight October 26 due to the rainy weather. We hope to be opened next Friday at 7:00 pm. In 1983 N.C. Senior Games began with a vision to create a year-round health promotion and education program for North Carolinians 50 years of age and better. Today, there are over 60,000 participants in 53 Local Games programs that serve all 100 counties across the state. Senior Games is a holistic approach to body, mind and spirit staying fit, while enjoying the company of friends, family, spectators, and volunteers. 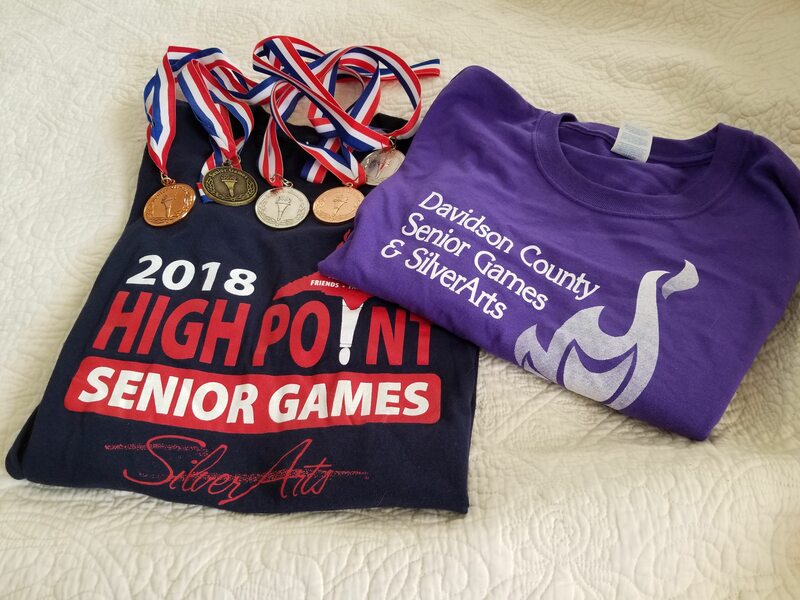 Many of our members and friends of the church participated in activities with Local Senior Games this spring in High Point, Davidson and Rowan Counties. 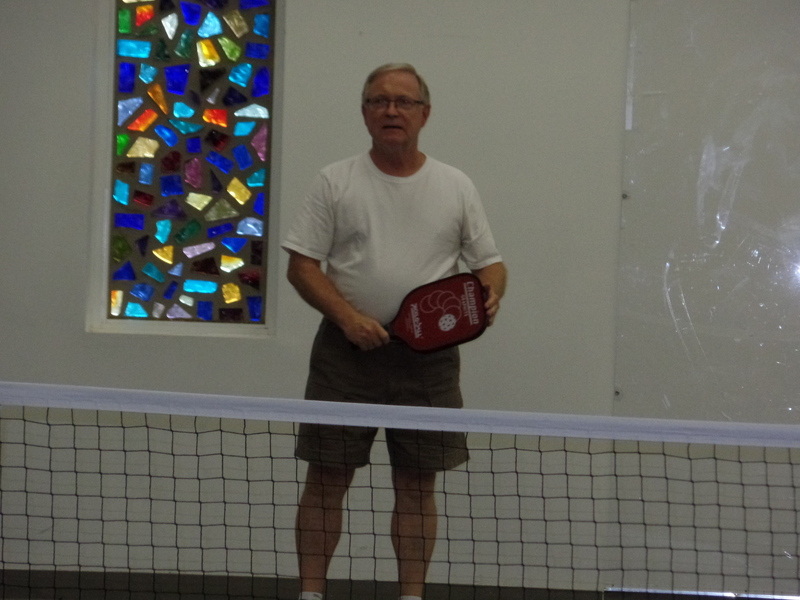 We have folks that regularly attend church here and others that regularly participate in pickleball here at Pleasant Grove that played. Not only did we have folks that participated but most of them also received awards and medals. 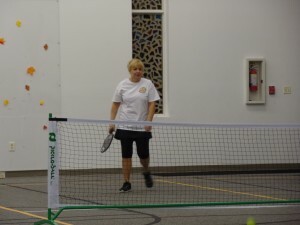 Sue Kanoy participated in the track and field events / fun walk. Her event did not get medals or we are sure she would have been at the top. I heard that she participated to get the free purple tee shirt. She is a little crazy for the color purple. We had so many nice friends that came out and cheered and supported us for our events. Those folks that received medals in the local games will have the opportunity to participate in the NC State Senior Games later this year. 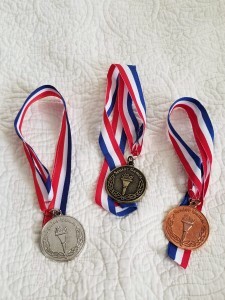 And if they medal in the State competition will have the opportunity to go the National Sr. Games. We are so proud of our local athletes. 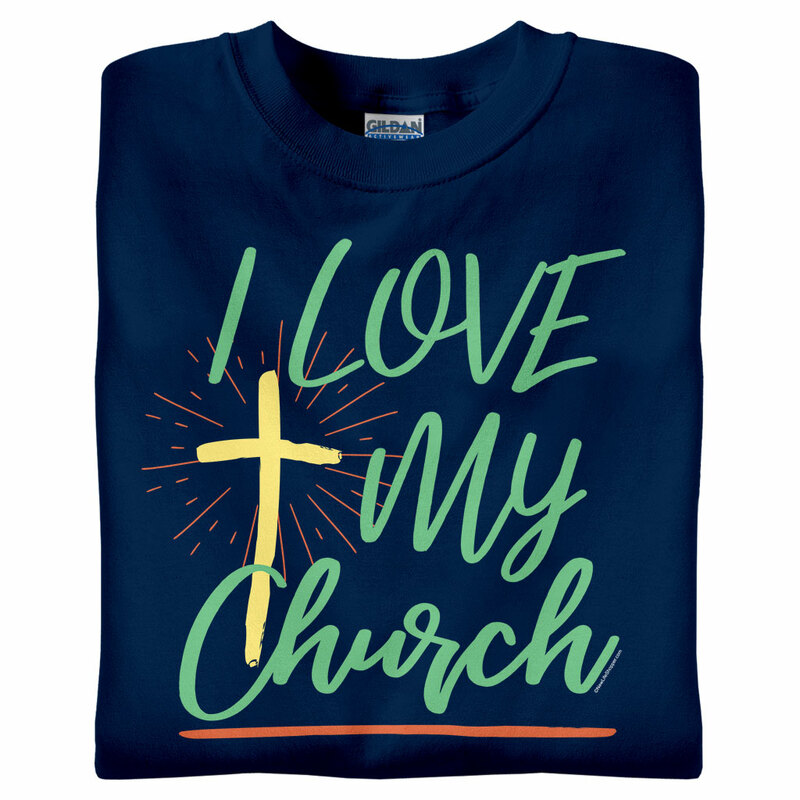 We have so much fun at tournaments and here at the church. 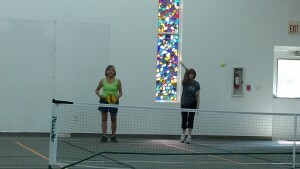 We thank God for the ability to participate in these activities and to stay healthy. We also are so appreciative of our church for providing a wonderful place for us to play pickleball and fellowship with our friends in Christ. Please consider joining us at pickleball and next year at Senior Games. The following is the list of the medal winners and events. (I hope I have not left anyone off the list.) Congratulations to all of our participants and good luck in the State Games later this year. We are excited that Rev. John Stein has been appointed to our church. His first Sunday will be July 15th. We look forward to meeting and worshiping with him. Below is a bio about him. Rev. 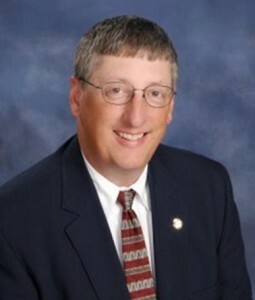 John Stein begins his new assignment as pastor of Pleasant Grove United Methodist Church in Thomasville, NC, in July. Born in Kansas City, Missouri, in 1961 to Rev. Neil & Carolyn Stein, John grew up in St. Louis. Communications for the Missouri West Conference of the United Methodist Church. His tasks in that capacity included publishing the conference newspaper, external media relations, consulting with local churches on communications issues, and managing the conference Internet site. During his tenure in communications, Rev. Stein served as a primary spokesman for United Methodists in a 1998 statewide political campaign to defeat the expansion of casino gambling in Missouri. For three years, he was a part-time religion instructor for Central Methodist College. He was ordained at the 1985 session of the Missouri East Annual Conference, and returned to St. Louis in 1986 to begin his first pastorate. John began serving the church during his youth. In 1979, at the age of 17, the Missouri East Annual Conference elected him the first lay delegate to the 1980 Southcentral Jurisdictional Conference in Little Rock. He also served as an alternate delegate during the 1980 General Conference in Indianapolis. He spent several years during the late 1990s as a member of the Board of Directors of the United Methodist Reporter in Dallas, Texas. Through World Methodism, he has enjoyed opportunities to serve beyond his own country. In 1991 and again in 1996, he served as a member of the North American delegation to the World Methodist Conference and to the World Methodist Evangelism Convocation. In 2001 he served on the 500-member World Methodist Council that met in Brighton, England. In 1996, John was one of the initial members of World Methodist Evangelism’s new Order of the Flame. He has served on the staff of several World Methodist Evangelism events, including the Sixth International Evangelism Seminar in 1997 and the International Christian Youth Conference in 1998. He has provided technical and computer support for Regional Evangelism Seminars as near as Atlanta and as far as Singapore. In 2011, John was a part of the regional seminar in Indonesia. While there, he preached at the Central Methodist Church, the oldest Methodist church in Jakarta. In 2007, Rev. Stein was fortunate to be cast in a feature film titled “Wesley,” about Methodism’s founder, John Wesley. He played the role of John White, an Oxford friend of John and Charles Wesley. Rev. Stein’s two sons were also cast in the project. Filming was completed in 2007 and the movie released in US theaters in 2010. In recent years the desire to reach young people and their families – along with a great appreciation for sports – has sparked a deep desire in John to develop sports ministries through the local church. One vision in this arena would seek to equip coaches to combine excellence in Christian mentoring and in coaching in ways that would help young athletes find success both on and off the field. 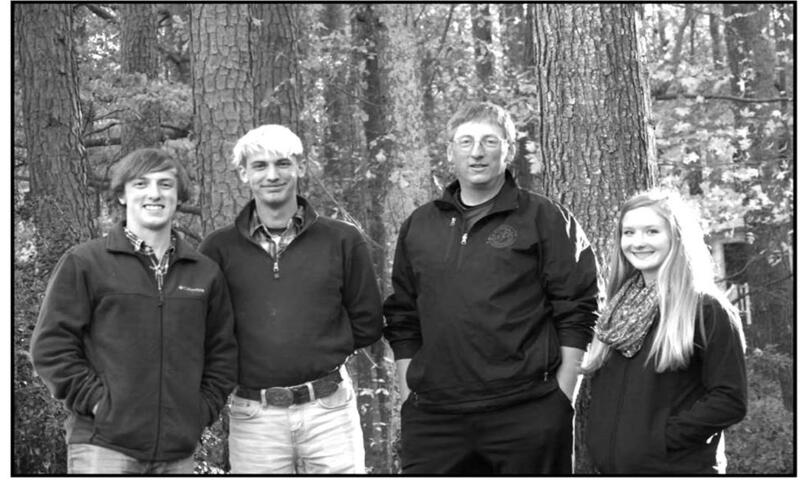 Several years ago, he piloted such a program with the support of area United Methodist churches, and in cooperation with the YMCA of Eden, North Carolina while coaching a 12U softball team. While he enjoys many sports, baseball and softball are dearest to his heart. In recent years, as his daughter began playing softball, he focused more attention there, gaining coaching experience at recreational, travel, middle school, and high school levels. John is an Accredited Interscholastic Coach for softball and a private pitching instructor. He also enjoys table tennis, camping, occasionally dabbles with photography, and is a PADI-certified Advanced SCUBA diver. He was an active volunteer Scouter for more than 15 years, serving in a variety of roles including Den Leader, Unit Commissioner, and Troop Committee member. As a Boy Scout, John achieved the rank of Eagle in 1976. John lays claim to three children. Hannah lives with her mother near Pittsboro, and is a high school junior. She is a gifted artist, an excellent student, and has a passion for softball. She is an All-State pitcher and has received several offers to play college softball. Caleb completed his Eagle rank in Boy Scouts, has been a BSA certified lifeguard, and has some proficiency in American Sign Language for the deaf. He recently enrolled at the International Dive Institute in Charleston, SC, where he will train this summer as a commercial diver. Josh, the oldest, also attained the rank of Eagle Scout. A graduate of High Point University, he is a former singer and stage actor who has given up the limelight. After two years as Music Director at Hickory Grove United Methodist Church in Charlotte, he is now teaching music and P.E. at Marvin Academy in Waxhaw, and is the part-time Youth Minister at Zion UMC in Monroe. Later this summer he will wed Heather Jones, a 1st gradeteacher in Fort Mill, SC.